It’s Ryan’s World; we’re all just living with it. 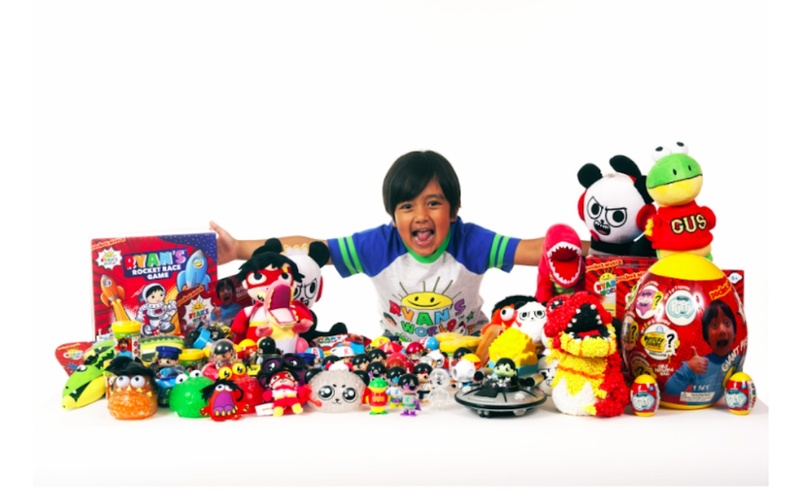 The six-year-old boy who stars on the massively popular Ryan ToysReview YouTube channel has teamed up with his partner network Pocket.watch to launch a line of toys and apparel, with all of the items set to arrive in Walmart stores on August 6. Ryan’s World, as the new line is known, includes 13 items, including figures, plush toys, and slime kits. Many of the items are concealed within their packaging, so that kids can unbox mystery gifts the same way Ryan does on his channel. In order to celebrate the launch of the line, Pocket.watch is teaming with Walmart for a series of events that will take place in the retail chain’s parking lots across the United States. At each of the 75 gatherings, attendees will get a chance to sample the items in the Ryan’s World line. In total, the new toys will be stocked at more than 2,500 Walmart stores nationwide, and they will also be available online. Ryan, who has maintained his status as one of the most popular creators since bursting onto the scene in 2016 (we were one of the first outlets to interview him back then), was one of Pocket.watch’s first signees after the kid-friendly network launched in 2017. Since then, Pocket.watch has launched several toy initiatives based around Ryan’s personal brand. At this past February’s Toy Fair, for example, the young star unboxed some items that feature his likeness. The Ryan ToysReview YouTube channel has more than 15 million subscribers and has notched more than 23 billion views to date.